On Broadway Road East of Alma School Rd. The office is located on Davis St!!! 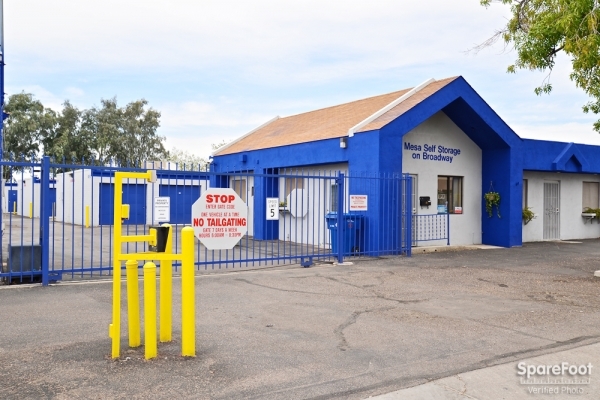 Proudly serving the Mesa community! Customer satisfaction is our specialty! The units can be used for Vehicle Storage but boat and trailers will not fit through the doors. 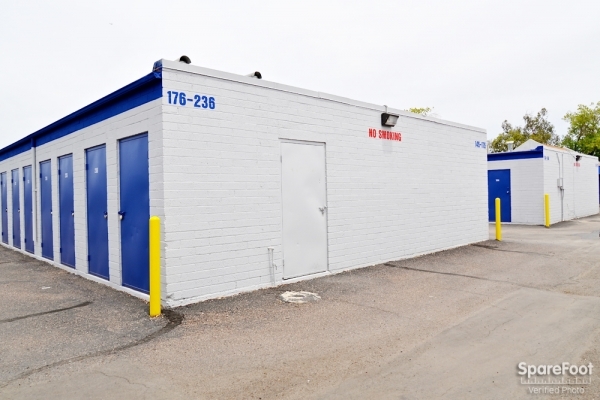 Our location has both Roll Up and Regular Swing Doors on some units. 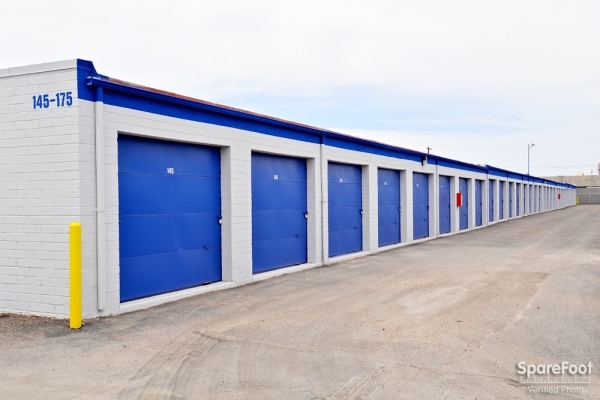 The units with (2) Swing Doors are discounted. These types of doors will fit household items including Refrigerators, Washers and Dryers they are wide enough for even a overstuffed couch or chair. Some areas are cluttered with storage outside the units. Awesome, friendly, easy, fast service... Very polite employee. Everything looks fine. 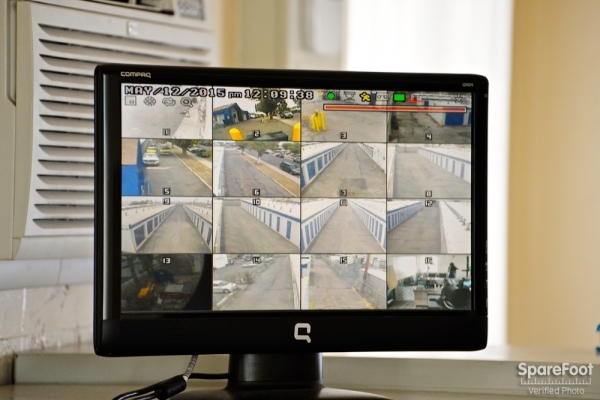 Facility has security cameras. See my summary above. xxxxxxxxxxxxxxxxxxxxxxxxxx. I wanted to make sure that I was at this location for a little while before I gave my review. 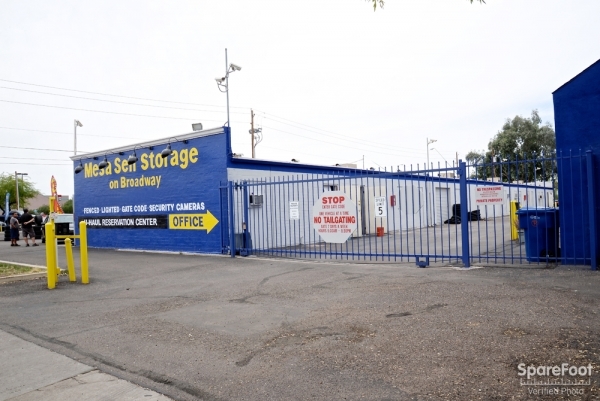 I spent about 10 minutes in the office with the paperwork very quick Joseph was fantastic he explained very thing to me as this was my 1st time needing a storage unit, so I was a little more than worried about my belongings. But the personal at the facility is very professional very polite and very helpful. 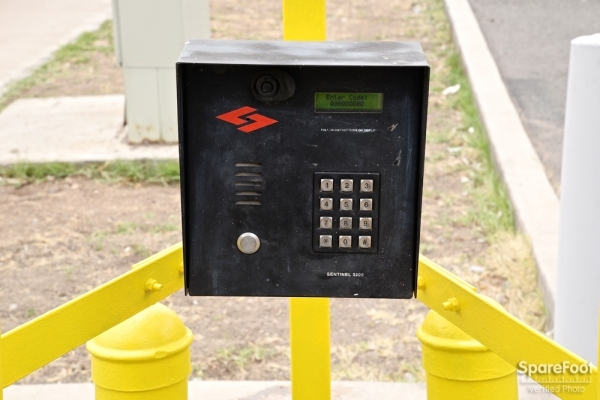 I was given a very nice lock to secure my unit I was walked back to the unit so I knew exactly where to go when I got there as I was not moving in until the 21st of August. 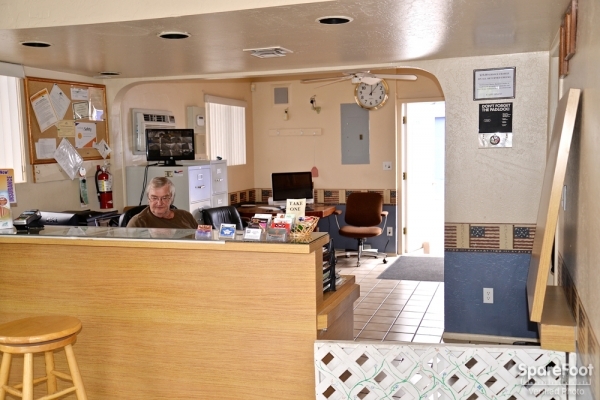 Joseph removed his lock and I placed my lock on the unit which was very clean inside and out and he told me that the office was closed on Sunday but he more than likely would be around the property if there was anything I needed to just catch up with him. But it all went off without a hitch no issues at all. I have been there for a couple of months and I love it. I get my new house soon and I would love to keep my belongings at this location because the folks are so nice but I must move out. 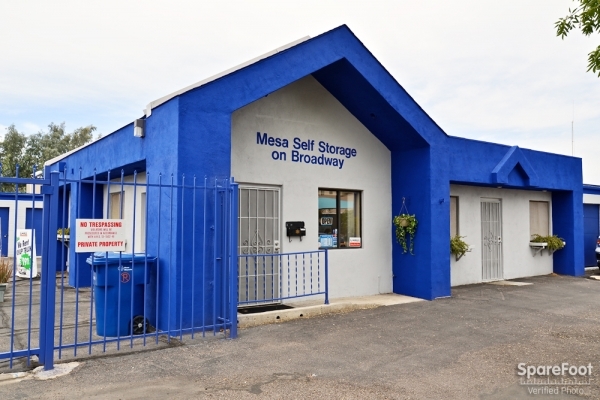 But at least I know that if I ever need to use a storage facility again I will defiantly be going to Mesa Self Storage on Broadway. They are Terrific and very friendly at all times. Thank you Joseph for all your help. Ran into snag with 3rd party driver causing damage to fence on the property and the female employee on the phone was verbally abrasive, treated like a criminal because my friend had a hard time intially getting owner of vehicle to contact them and before they were able to get an adjuster out to look at everything. I was too freaked out and stressed to make the first step so that didn't look right so their frustration is understandable, however customer service is very important no matter what. I eventually contacted them and supplied the insurance info friend gave me , I just hope I stil have access to my stuff, though. 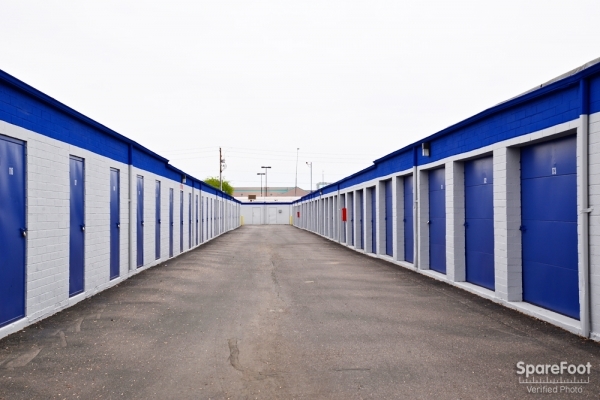 Great deals on storage units. Multiple sizes available. 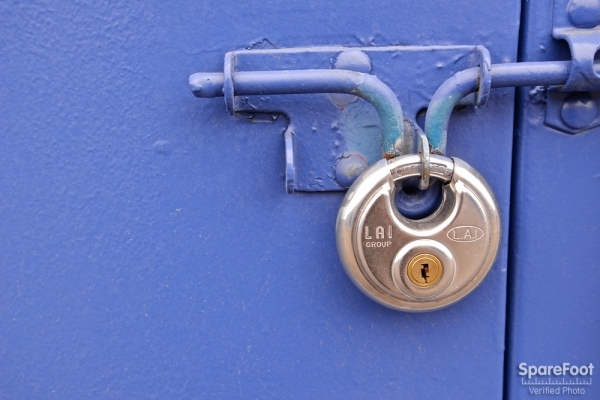 Lock removed from wrong unit. Since we moved stuff after office closed, I had to leave a message to let them know. 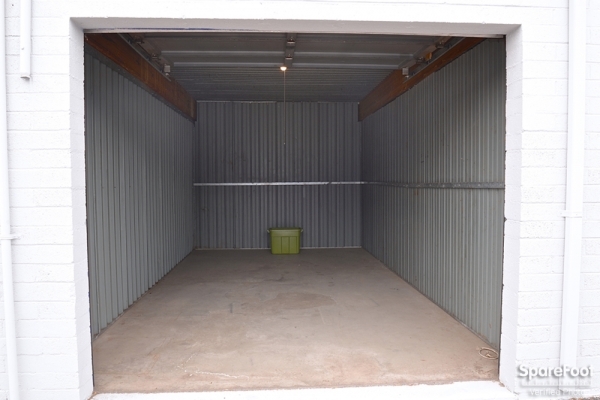 I've never had to use a storage unit before so I was very new to this. The first place I went to basically wanted me to rent a shoe box for $50 a month. I decided to continue searching and I ended up finding this place! It's a bigger unit for the same exact price as the original location I went to. And this location had a much better move in special! 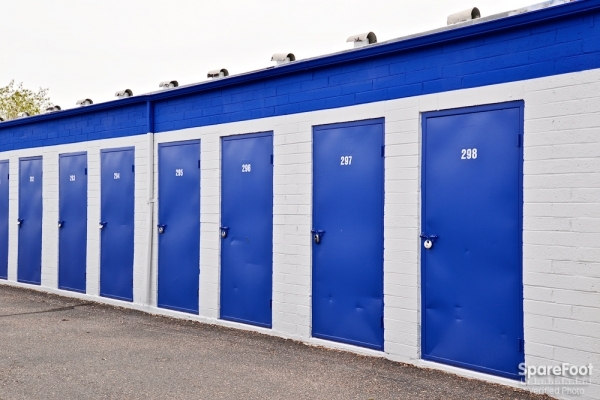 I needed storage on the fly and they have a great selection available. Front desk was very friendly and helpful! Be careful of the size truck you bring in if you select a back storage unit. The space is tight if you have to turn down the back but I did have a 17 foot truck. Overall great for the convenience and price. I had some issues moving in and the manager really helped me. 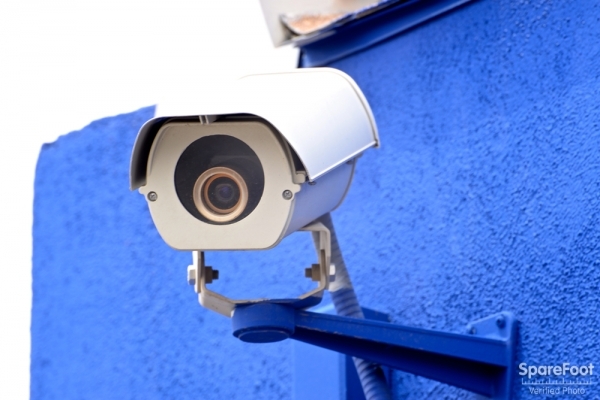 Good customer service, bigger unit than what we had elsewhere at a better price, my spouse, a former security officer, is pleased with the amount of security features they have in place. I made a reservation through Spare Foot, i tried to call and see if I could come in this morning first thing when they opened I called for 40 mins and no one answered the phone or returned my call. I went to the location and I was there on 3/22/16 at 8:25 A.M because I wanted to get in and get out. Office was closed and no one was there but it was not yet 8:30 so I waited around and when it became 8:35 I knocked on what appeared to be an apartment but no one came to the door. SO I waited and will I waited I took a look around and frankly it was disgusting. There is some guy up front in a unit and he was sleeping there I was going to ask him if he knew when the manager would be in but quickly changed my mind, I was almost ran over by some guy in a truck as he raced through the main gate, I looked back to the dumpster and it was just gross. There is trash stacked up all over the place and just thrown about and it seemed as though no one cared how this placed looked. I decided I did not want to rent from this location and I went home and cancelled my reservation. Sorry to say the place is gross and if there is that much trash near the dumpster can you just imagine what the rest of the place looks like. If I could give it -5 Stars I would. Switched companies when our previous storage unit place increased the rate twice within a year. Now paying less for a bigger unit with a light. Check-in was easy and friendly. 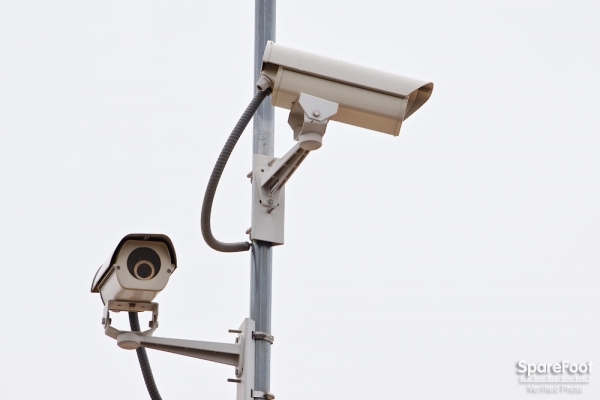 My husband, who worked security for years, liked the amount of activity on the premises and the number of cameras.